The City’s website providing everything you need to know for the 2012 City Council election is up and running at www.votesantaclarita.com. The website provides visitors with listings and addresses for all 30 voting precincts, including a precinct map, information about where individual’s polling places are located, candidate information, a sample ballot, vote by mail information, election notices, campaign disclosures, and results from past elections. On election night, April 10, 2012, the City will be hosting a live, televised show beginning at 7:30 p.m., and viewable on SCVTV (Time Warner Cable Channel 20, AT&T U-Verse 99, SCVTV.com). A live twitter feed will also provide regular election updates. “Our goal is to make election information readily easily available and provide voters with the tools to access City Council election results in real-time wherever they may be on election night,” explains Kevin Tonoian, the City’s Administrative Services/Information Technology Manager. 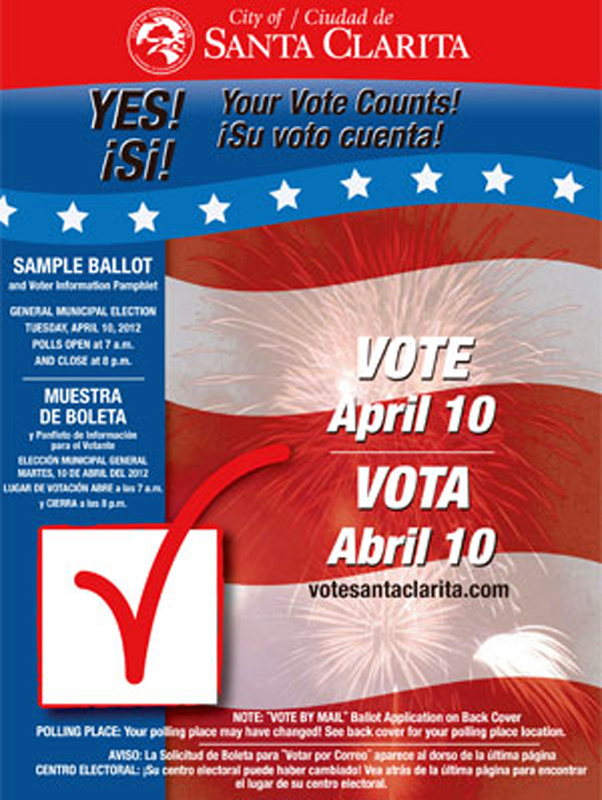 In addition to televising live election results, residents are encouraged to bookmark the site: www.votesantaclarita.com to receive up-to-date information. Additionally, this year the community will be able to access an on-line map on the evening of the election that will provide real-time results by precinct. This web-based map will be accessible via computer, smart phones or tablet device and can be found by visiting www.votesantaclarita.com/map.